Decorating your patio is not a cheap task! 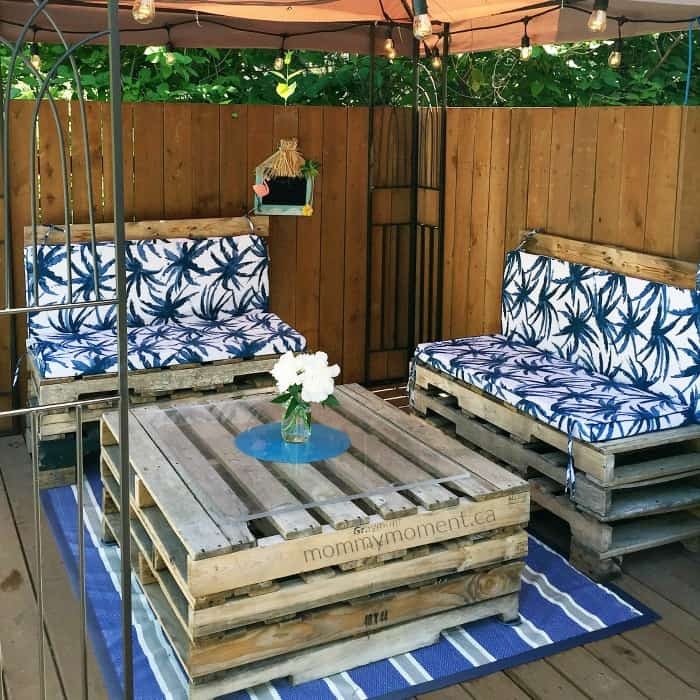 But you can make your own patio furniture out of wood pallets and create your own pallet project masterpiece inexpensively! 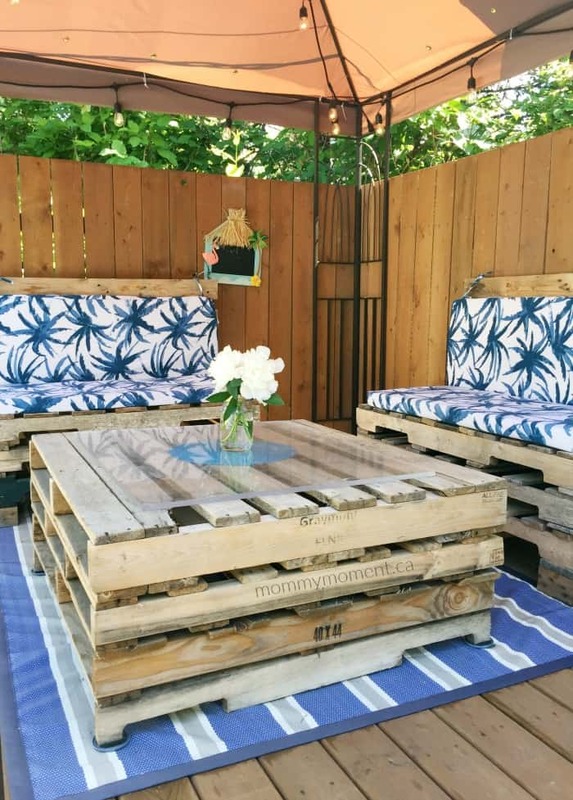 By creating your own patio furniture pallet project, you can decide the dimensions and layout that best suit your space. Last fall we put an above ground pool and deck into our backyard. I knew I wanted a little space, with patio Furniture, on the deck to be able to relax and enjoy watching the kids play in the pool. 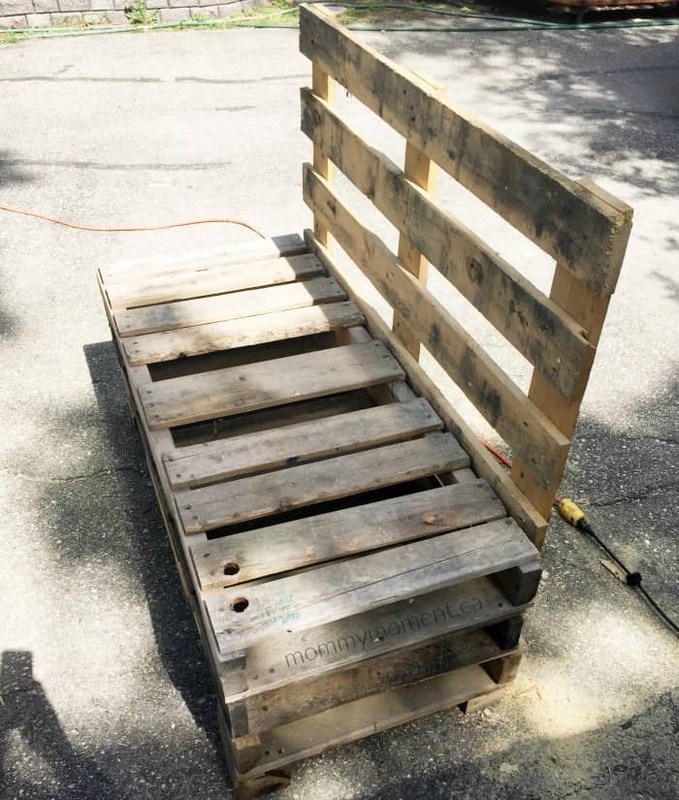 Since we had spent most of our budget on the pool and deck, I decided to come up with a pallet project to create the space with a very limited budget. My husband and I have many talents, but carpentry is not one of them – that said, I am very happy with how we worked together to make this functional space. 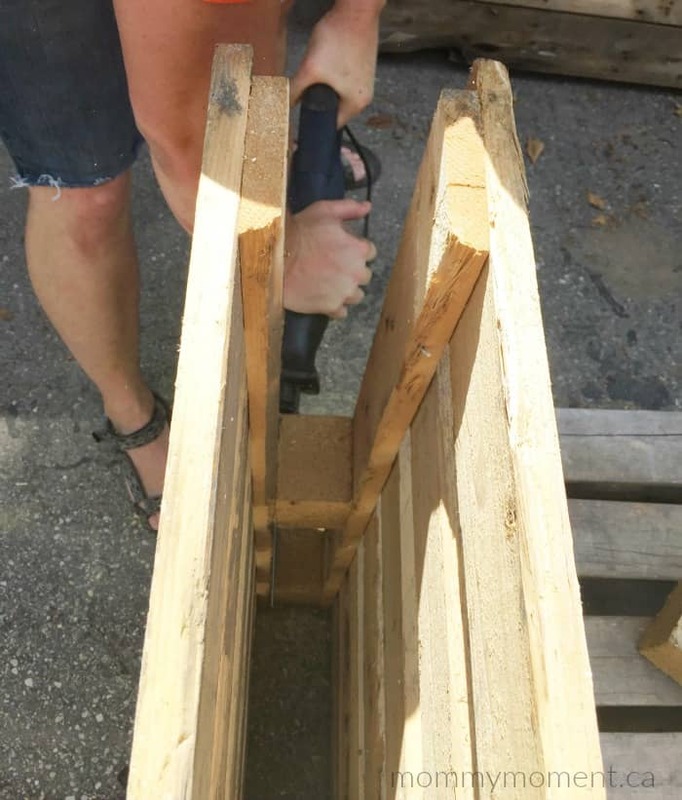 To make the seating we cut pallets in half just past the middle bracing piece of wood. Next, we stacked them 3 high and screwed them together. 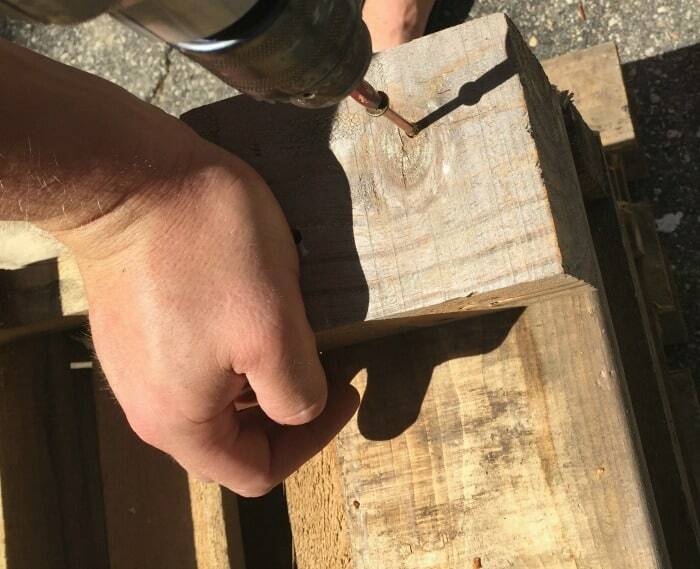 Then we put a block on the bottom of each of the 4 corners as to be the feet for the couch. 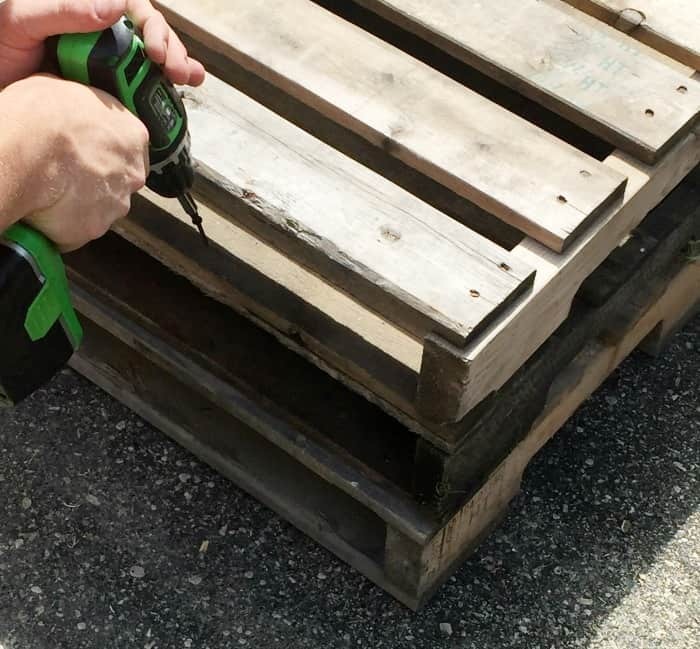 To make the back of the couch we cut a pallet in half – it was actually the middle blocks of some of these pallets that we used for the feet of the seating. After a good sanding and pressure washing, we added some cushions. This is your opportunity to add punches of colors with different sizes and shapes of outdoor cushions. For the coffee table, we basically screwed 3 pallets together. 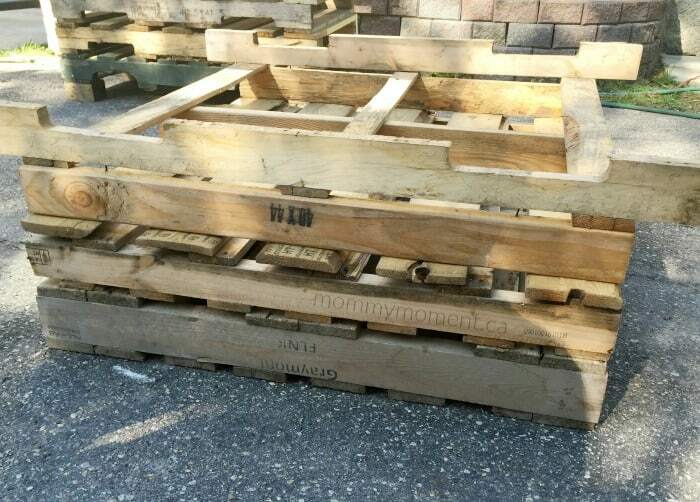 We just added some of the leftover pallet boards as the base. Once they were screwed in place, we just cut off the excess. 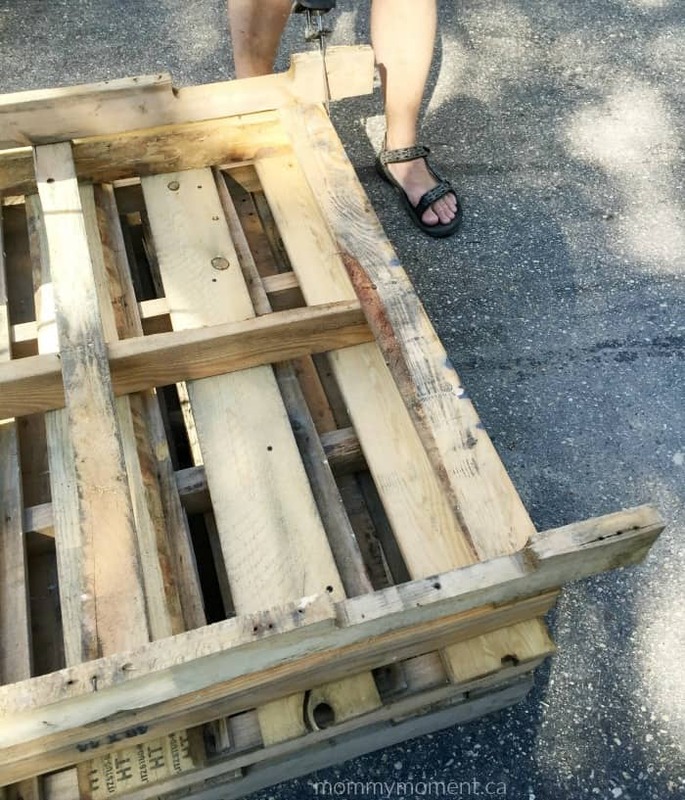 We had no plans to follow, I just used the pallets we had to come up with some patio furniture for this pallet project. We found a used piece of plexiglass to put on the center of the table top to provide a solid spot to hold flowers or drinks. 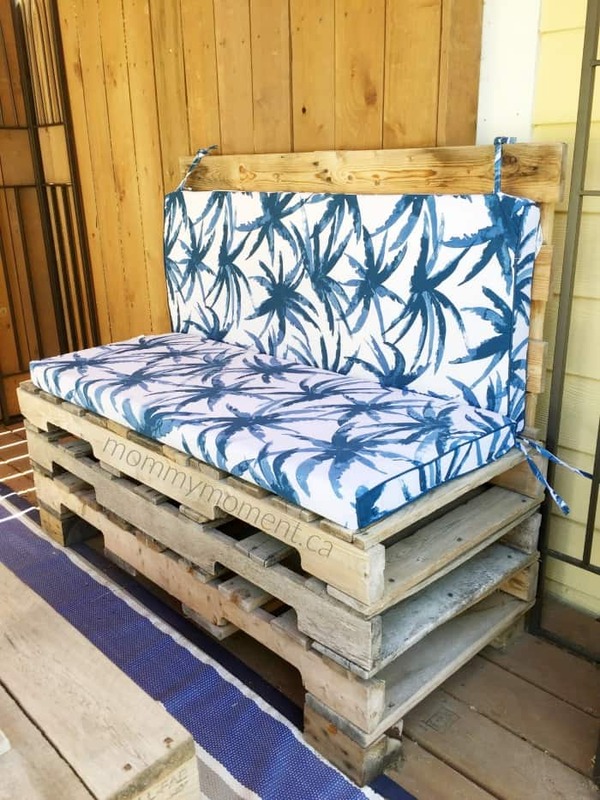 Now you’re ready to use your patio pallet furniture! Dress up the table with fun drinking glasses and a vase for flowers. 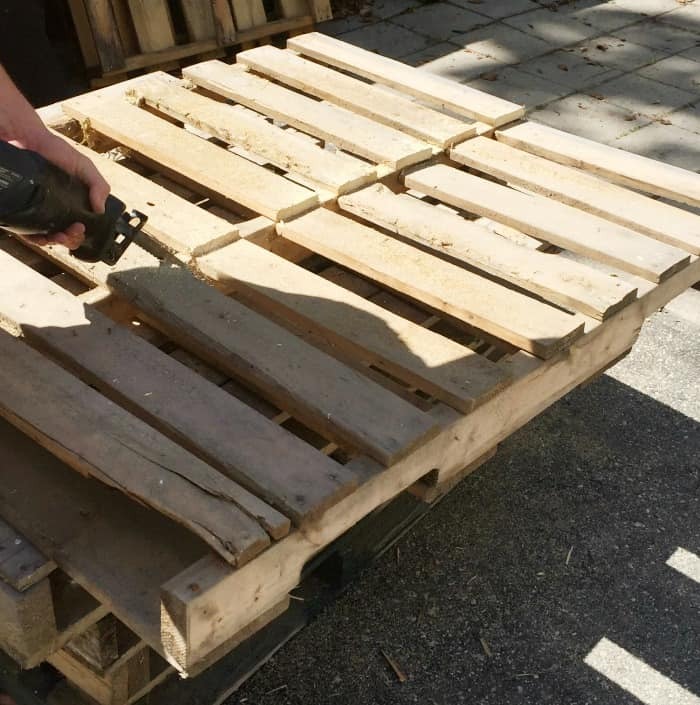 If you need a little more help with your pallet project for your patio, the book Wood Pallet Patio: For Beginners! 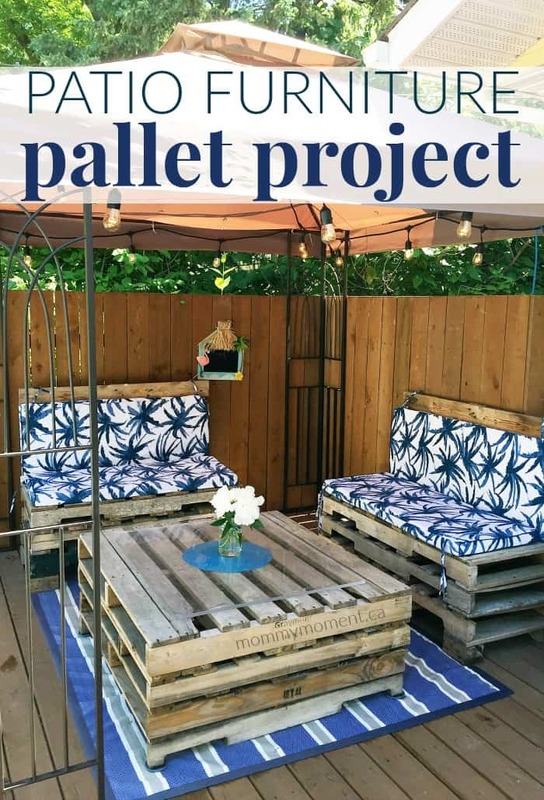 – 30 Amazing and Modern Wood Pallets Projects To Decorate Your Garden And Home! 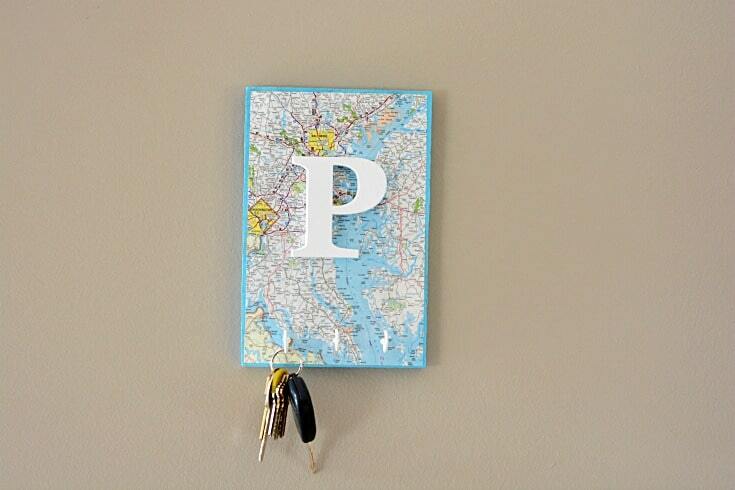 – would be perfect! O have been looking at this project for years, I love it, they also have a sofa for a home theater room, looks cool and free! 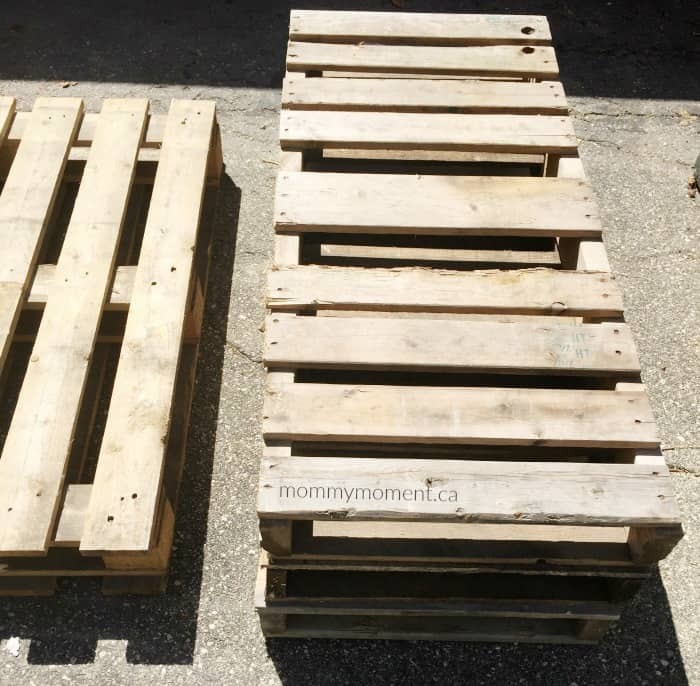 I’ve got a few pallets tucked away for when I have time over the summer to create! They look great. I didn’t do furniture but my brother made me a raise garden from mostly pallets.